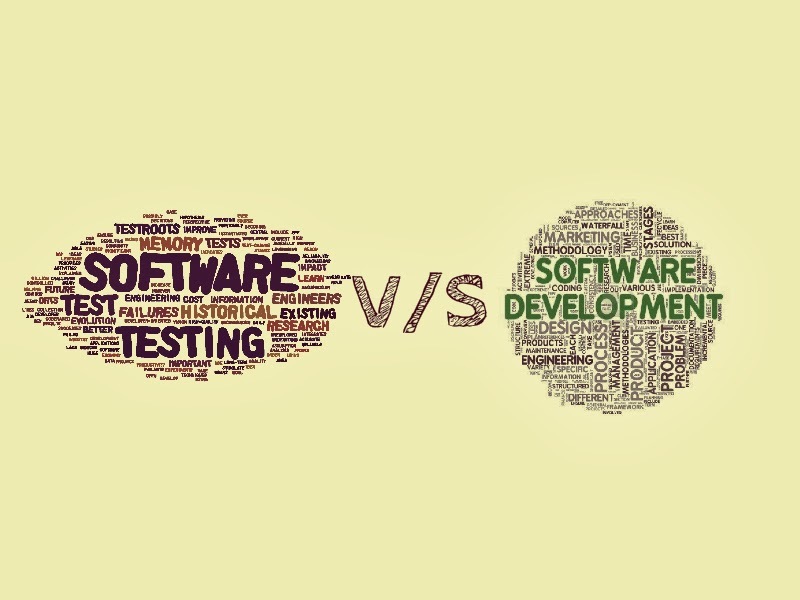 Software testing v/s Software Development : What to choose as career option ? This is the question every IT job seeker, IT student ask himself/herself on the way of deciding their career path. Both software testing and development are way different to each other but but both are needed aspect for any product to come in. Software Testing deals with quality assurance, functions included are checking for vulnerabilities and make sure that the product is fit to come in market. Software testing require lots of patience as finding defect in someone else's(Developer) work is not a easy task. on the other hand Software development requires lots of interest in Programming language, unlimited patience, deep thinking, solid logic's. Both software developer and Testers works for a moral cause: Making mankind better in terms of technology . Hope the article helps you to choose your way ! !